Evo & Grace: The WanderLusts: 2018 Thirteen Artists Awardees Revealed. 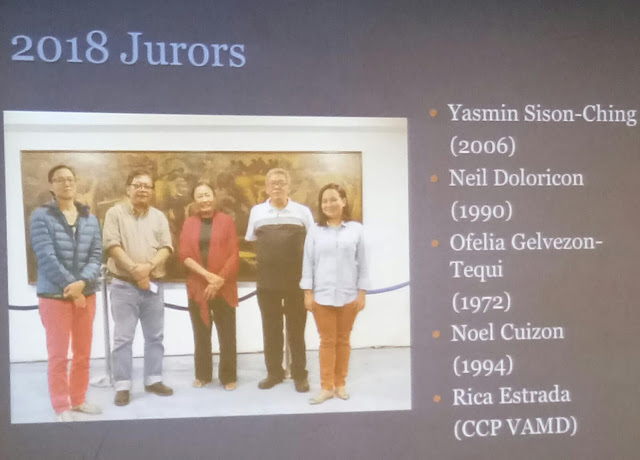 It is an ominous and omen-like numeric title that popular superstition would probably avoid, but it has proven to be stronger than its own ghosts as the Cultural Center of the Philippines revealed 13 Artists Awards for 2018. Now on its 17th year of conferment, Thirteen Artists Awards (TAA) it means as it sounds, has given special recognition and citation in the field of contemporary visual art to 185 artists since the program started in 1970. 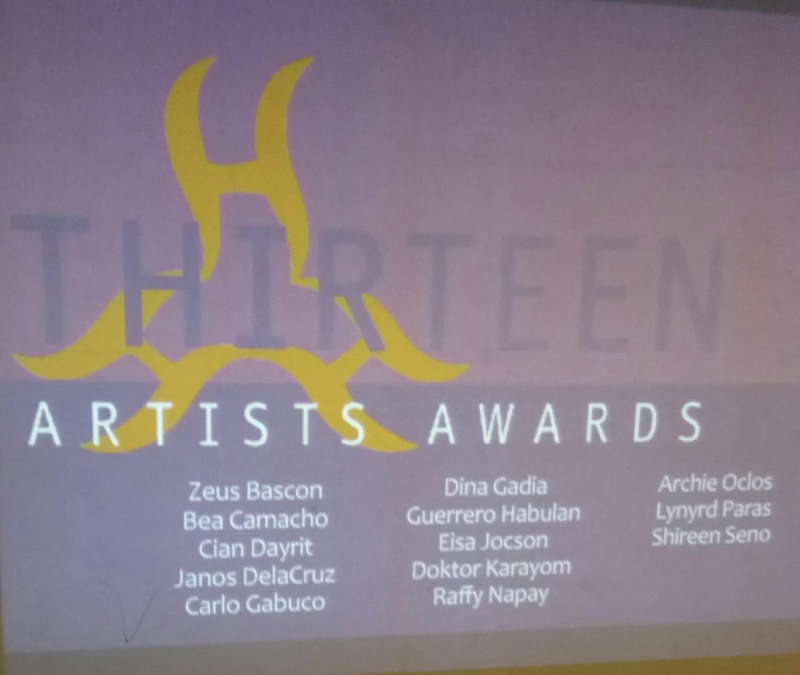 The 2018 Thirteen Artists awardees are Zeus Bascon, Bea Camacho, Cian Dayrit, Janos DelaCruz, Carlo Gabuco, Dina Gadia, Guerrero Habulan, Eisa Jocson, Doktor Karayom, Raffy Napay, Archie Oclos, Lynyrd Paras and Shireen Seno. They were officially named at the press conference held at Museo Ng Kalinangan Pilipino Hall on 14 March 2018 at 12 noon. Chris Millado (CCP Vice President and Artistic Director) made a welcoming remark, Irene Rada (Corporate Communication Division Chief) made a rousing introduction, Rica Estrada (OIC, Visual Arts and Music Division) made an introduction about the awards and the jurors and Noel Cuizon (2018 TAA Juror and previous awardee) made the announcement of awardees.